The history of medicine in non-European countries has often been characterized by the study of their native "traditional" medicine, such as (Galenico-)Islamic medicine, and Ayurvedic or Chinese medicine. Modern medicine in these countries, on the other hand, has usually been viewed as a Western corpus of knowledge and institution, juxtaposing or replacing the native medicine but without any organic relation with the local context. By discarding categories like Islamic, Indian, or Chinese medicine as the myths invented by modern (Western) historiography in the aftermath of the colonial and post colonial periods, the book proposes to bridge the gap between Western and 'non-Western' medicines, opening a new perspective in medical historiography in which 'modern medicine' becomes an integral part of the history of medicine in non-European countries. 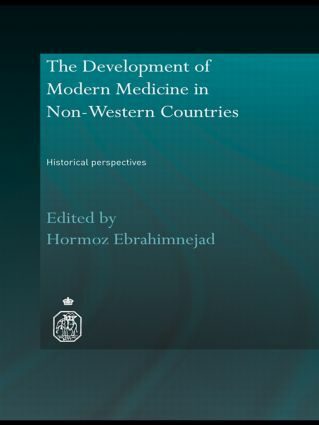 Through essays and case studies of medical modernization, this volume particularly calls into question the categorization of ‘Western’ and ‘non-Western’ medicine and challenges the idea that modern medicine could only be developed in its Western birthplace and then imported to and practised as such to the rest of the world. Against the concept of a ‘project’ of modernization at the heart of the history of modern medicine in non-Western countries, the chapters of this book describe ‘processes’ of medical development by highlighting the active involvement of local elements. The book’s emphasis is thus on the ‘modernization’ or ‘construction’ of modern medicine rather that on the diffusion of ‘modern medicine’ as an ontological entity beyond the West.